Hello, I took the two weekends to watch movies that I missed. This is the first one. This movie is a spin-off of Hibike 2, a 1.5hr movie talking about a friendship between 2 girls. Don’t expect much drama as Hibike here, I personally find this movie to be very chill with no frills and little thrills. 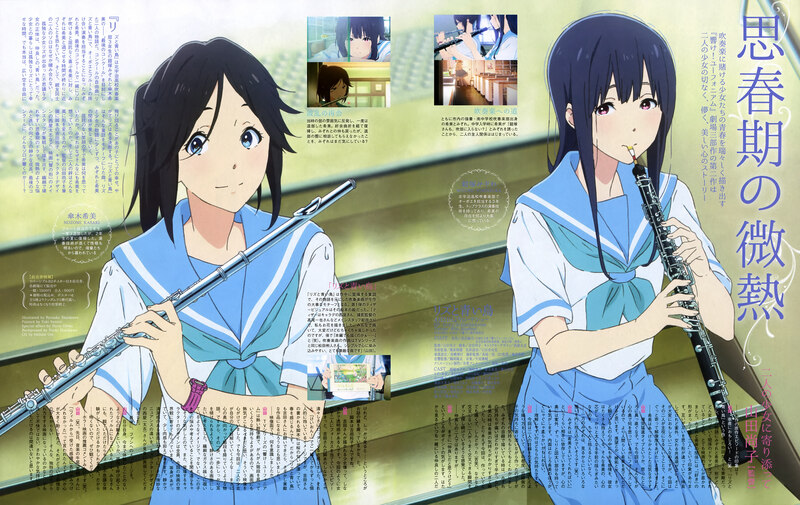 It tells a really bittersweet story about Nozomi who is always bubbly, very sociable with a slightly anti-social Mizore. It also tells how their friendship and chemistry ended up working out despite their drastic differences in personalities. This is a nice twist of plotline from the always-under-the-spotlight Reina and Kumiko. I really love this change of pace for Hibike in general. 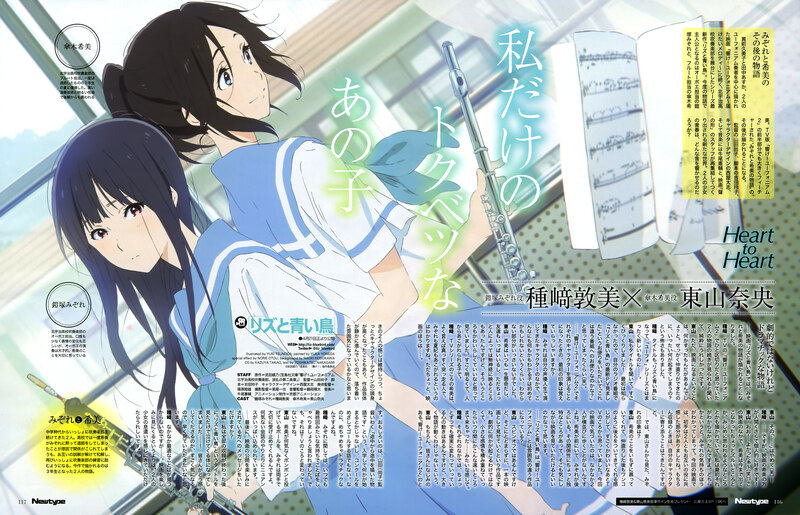 There is also another side story about Liz to Aoi Tori, a storybook that Mizore reads. The story did had some awkward transitions during the 1st half, but slowly they managed to make it flow with the parent story. 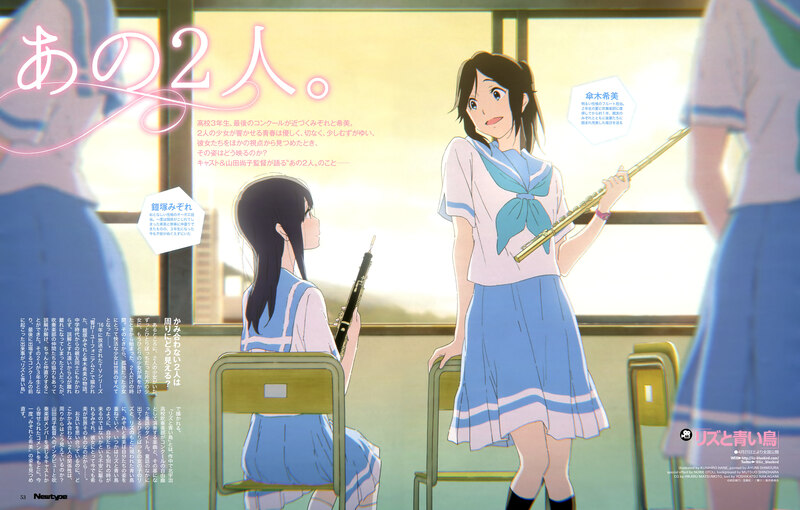 The turning point of the story is when the piece, coincidentally also named Liz to Aoi Tori, involves a “conversation” between Mizore’s oboe and Nozomi’s flute. They strained their friendship as Mizore’s internal struggles starts to show. And of course, they eventually fixed their relationship in the end. The story ended pretty normally, I was expecting a better ending. The story pacing was slow but I somehow didn’t get bored at all. 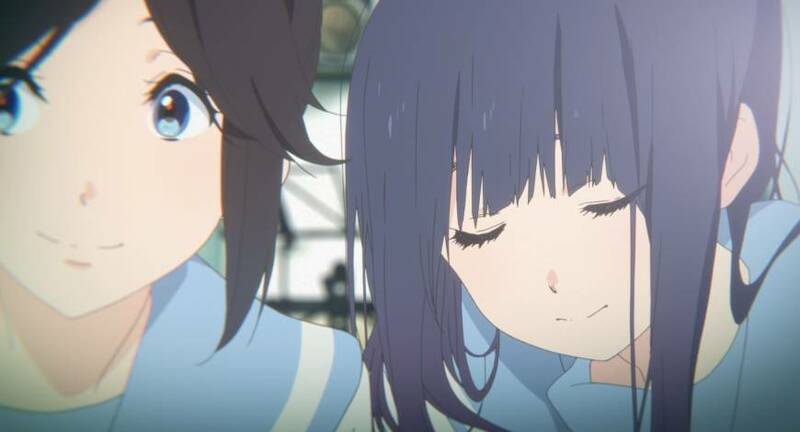 The character development helped drive the story, despite it’s about Nozomi and Mizore, but they didn’t get all the attention, everyone gets a fair share of attention here. Kyoto Animation is in-charge here, so there is nothing to worry about for sure. Characters looks great, backgrounds are nicely rendered, colors feels a little bland compared to the main Hibike. But overall, it still looks extremely refreshing. I don’t know if it’s me or what, but I feel a slight change in character designs. If you guys think so, do tell me in the comments down below. I wanna know if I need to change my glasses. Nothing to write here, everything here is perfect. Watching this movie is pretty much like watching an orchestra concert so nothing to pinpoint. The cast is pretty much the same throughout. But with quite a few new characters. My favorite newbie is Sugiura Shiori voicing Kenzaki Ririka, her voice fits the character personality so well. Ah I’m in love. Honda Miyu voicing Liz felt rather awkward, there are moments she sound like a monotonous person reading a script, making her dialogue feels even more scripted. Recommended? I would say you can really skip it if you don’t really want to watch it. But if you wanna watch it, for context, it’s best you watch both seasons of Hibike. That’s it for me today, I have more anime movie reviews queued in the pipeline. So stay tuned!